My name is Rich. I like to talk about money. Purchased twenty rental properties that are paid off. How do you summarize your financial life in a blog post? What if it’s your first post ever? I met my wife in college and quickly realized she was the right person for me. Before she married me, she asked me a question that I didn’t know the answer to. It was a question that I didn’t want to know the answer to. Thinking back over the last 3 1/2 years of college, I remembered getting some grants and a partial scholarship from the military for majoring in Chinese, how bad could it be? I remember taking out a few student loans to help make ends meet (a.k.a. always eating out and vacations with rich friends). You see, my wife of eighteen years is Chinese. Taiwanese to be exact. The Chinese, much more so than us Americans tend to frown on debt. I didn’t see a problem with the debt at the time, especially considering I was sure to be rich someday and could easily pay it back. 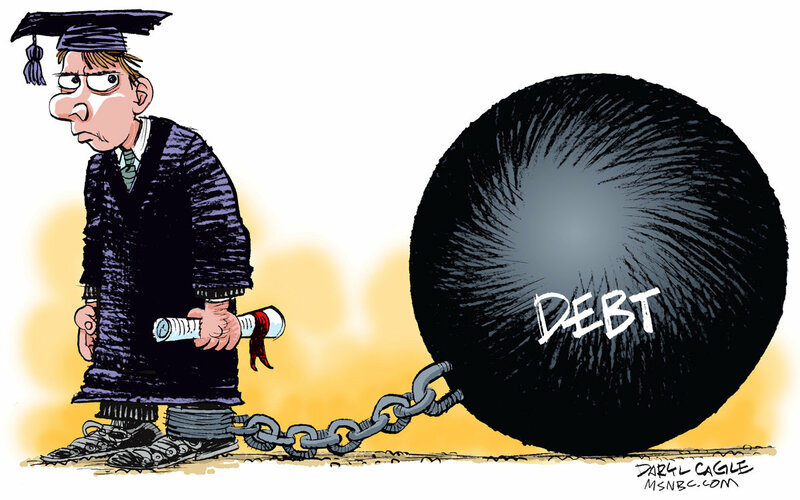 Back to the story… After being in college for four years, I had racked up more debt than I imagined. I ended up calling at least four different loan companies before I had the total. $32,000 and change. (Back when $32,000 was a lot of money). I said to my wife: Wait, why are you crying? I took an extra job while still in college (Fidelity Investments), and she took two extra jobs. We knocked that debt out in less than a year. Boy, my wife is crazy! If you have a lot of debt, stop spending. You don’t both need new Iphone 8’s! Find ways to save. Find ways to earn more. Pay it off fast. There is always excuses why you can’t do this, but you have to. It’s that simple. During college, I decided to start our Roth IRAs (good idea!) I called to place my trade, and the savvy trader on the other end of the line told me I was foolish not to invest in an aggressive growth index fund, where I would make money twice as fast as the S&P 500 index. He was right, sort of. I invested $4000 in the Aggressive Growth Index fund (I think that was the actual name), and lost money twice as fast as the S&P 500 when the market dived with the pop of the tech bubble. $4k went to $2k in a few weeks. It was one of the best lessons of my life. I joined the military as an officer and moved to the island of Guam. This put our plans to buy a house on hold. After two years in Guam, I received orders to move to Washington, D.C. It was 2003, and we were eager to buy a house believing that owning real estate would be key to our financial future. The market was unusually hot in 2003. House prices had been rising rapidly over the past two years, and houses were selling as fast as they came on the market. We were shown a house that wasn’t coming on the market for a few more days, and made an offer at the full price of $280,000. We had enough money for 10% down, borrowed another 10% towards the down payment at a 7% interest rate, and paid 5.5% on the remaining portion. The payments were about $1600, and I didn’t sleep for several days straight fearing it was the biggest mistake of my life. Luckily, it rose about $100k in value over the next year. My wife kept hounding me to pay off the loan faster than 30 years. I told her I knew what I was doing, and I would rather save and invest that money instead of paying it off early. I did add $500 to the mortgage bill each month to make her happy. The house kept growing in value, which prompted us to search for a 2nd home to buy as soon as possible, sensing another chance to get rich quick! In 2005, we did what some others had been doing to get-rich-quick. The idea with flipping new construction was that you made a small down payment and locked in the price of your new townhouse. It took about a year to build. Once it was completed, you would turn around and sell it as a new home without ever moving in, and pocket the appreciation it made in the year it took to build. The problem was, it wasn’t appreciating in value anymore. Every house in the neighborhood was for sale, and no one was buying. I tried to rent it out, but the only offers I got were section 8 (a form of welfare where the government pays the rent). We didn’t know it at the time, but I was witnessing the top of the market, and it was starting to nosedive. I sensed trouble, and offered a $3,000 incentive to the selling agent. I got out of that bad situation with about $10k in profit, and watched the rest of the houses in the neighborhood eventually go into foreclosure. This beautiful new construction area ended up becoming a bad neighborhood, with crime problems and vandalism. Counting on appreciation when you buy is a losing proposition. It’s impossible to predict. If you made lots of money on your house, it’s not because you’re awesome. You got lucky. Click here to read my post on the dangers of appreciation. I put real estate plans on hold. About a year later, in my never-ending quest to learn the secrets of money, I finally read Dave Ramsey’s Total Money Makeover. By the way, this book is one of the greatest debt books out there. Wait a second! I’m doing awesome according his steps! O wait, but why in the world is he saying to pay your primary residence mortgage off? I thought that was good debt!! Don’t I get to write off the interest!? I read this part of the book carefully. He convinced me. Now I felt smart. I realized the wisdom in paying off my mortgage as fast as possible, and ahead of making normal investments. I went and told my wife my great idea. How come my wife doesn’t think my idea is amazing? Probably because that is what she had been telling me to do all along. We both had jobs and decided to make LARGE monthly payments against the principal and knock this debt out, just like we knocked out my student loans. We were able to pay the house off in six years, and our savings rate went up a lot! Couple this with doing halfway decent flipping houses in D.C., and I accumulated a little chunk of change in the bank on top of being debt-free (including primary residence). I’m in the military, so I had been renting the house in D.C. out since 2005, and wasn’t that happy with the rent-to-price ratio. Even though the house was paid off, the return on investment was quite low. In search of a better real estate investment, I ended up in the southern United States in a city where houses could be bought for the price of a down payment in D.C.
My rental yields almost tripled! Also, instead of being highly leveraged (having a lot of debt) buying lots of houses with mortgages or on credit, I was buying houses for cash (I hope Dave Ramsey is proud!). There is a snowball effect to the amount of money that comes in as rent when your primary residence and rental properties don’t have mortgages. Your existing properties can purchase your next property at a faster and faster rate. This, in a nutshell, is what I have done in my financial life. I was able to do all of this on one military salary, while my wife stayed home with two kids, while living a majority of the time outside the United States. I want to help others do something like this better and faster than me. I’ve always had a high savings rate by working extra jobs (I guess it’s called hustling now), and avoided wasting money on unnecessary crap (I guess it’s called being frugal). Without my wife, I would have never done any of this at all. This was all her idea, I was just smart enough to listen. It used to drive me nuts how all she wanted to do was save. Then, one day fairly recently, I realized we were already financially independent. My decision to start a blog was inspired by running across the finance blogs of Jim Collins (www.jlcollinsnh.com) and Paula Pant (www.affordanything.com). They are the best out there IMHO. My passive income right now would allow me to retire according to financial independence calculations. But my wife and I are having way too much fun investing in real estate and saving for retirement. We want to see how high our passive income can get, and retire in style someday. It’s our goal to retire at a higher comfort and income level then we had in our working years. I’m now less than two years from the minimum time for a generous military retirement! We’ll see what happens after that. I’ve made a lot of stupid mistakes along the way, and still did all right. I hope my stories and experiences help others get out of debt, invest, create passive income, and live well. Comment below on where you are financially and what your goals are. Want to get started in real estate? Read my complete guide to real estate investing. Curious exactly how I invest my money? …and thanks for the kind words about mine! It has brought an amazing array of extraordinary people, like yourself, in to my life. They, in turn, have dramatically expanded my horizons. Kudos from you means a lot! I’ll keep working on it! Hey rich and Jcollins if ur watching. I’m impressed with ur great blog start. I’ve subscribed and look forward to see it expand. Thanks Shawn! Enjoying the journey! I followed the link to your blog from jlcollinsnh most recent book post. I am within 30 months of the 20 yr military retirement minumum and I will call it quits very comfortably at 20 with a combination of paid off rental properties and some dividend income. It’s nice to see that there are others that see the same path to FIRE available to them. Best of luck with your new blog adventure as well – just keep posting! Aaron! You are my second commenter on this website (next to Jim) and one of my first readers other than my Mom (Actually I don’t think she’s read it yet). Soon I’ll hit double digit readership!! Good to meet you! Congrats on your financial situation! Would like to hear more about what you’ve done with real estate. I just posted a new story about my first property. Take a look. Please sign up for email list. It would be great to have your comments on my approach to real estate! Great to meet you as well. I’ve kept it real simple and purchased a couple of high ROI homes and will have them fully paid off right as I retire. I read all of your articles (4 if my count is right–your mom is missing out!) and I’m looking forward to hearing a lot more about your process to buy out of town real estate. I’ve thought about it often but never pulled the trigger. My 2 houses are right next to my alma mater and I purchased them with the proceeds from my first house sale in 2005 (lucky timing for the sale but not the purchases). They are never vacant and they rent to college students for much higher than a family would pay (note: I purchased both homes with an intent to rent them later). Since purchasing, I’ve aggressively saved to pay them off at retirement. That’s pretty much it for my story. Wow! That is awesome!! You are doin’ it right. You’ll be sittin’ pretty at retirement. I wish I was a little closer myself. So if I read this right, you have two rentals, and no primary residence. You’re renting. Is that right? That’s the way to go, in my opinion. Primary residences rarely make sense financially. I’m selling my primary residence from 2003 tommorow (the monopoly post), and I didn’t make much money on it if you compare it to other options. I totally know what you are saying about the timing! You could easily do what i’m doing with the savings rate you’ve got going. What I’ve done is started buying in a location I was living for a particular assignment, and laid the groundwork to continue buying properties once I had left that location. That means find the RIGHT real estate agent, contractors, and most importantly, management company. I did the same thing with flipping properties in DC. I think you missed my most recent post. It was my first flip in the D.C. area. Posted yesterday and sent it out to my subscribe list. I flipped new construction, which is a less-known technique. Also check out my new ask me page. Sounds like are paths are quite similar. Keep in touch. Yes that is right. We are renting because it gives us a lot of flexibility and freedom, especially important to us with retirement right around the corner. I look forward to hearing all the details of how you’ve made it work with the out of town investments. For me, at this point, the biggest hurdle is the mindset needed to trust the numbers and call it quits with no job lined up. Being an Officer in the military can pay pretty good, with understood comprimises and risks of course, but it is still tough to take the plunge into incertainty! I’ve verified and am sure that ‘ve read all of your articles! Keep posting, I look forward to each new post. Hi Rich. I saw the link to your blog thanks to Jim Collins. I very much look forward to following your journey. As with you I am a (now retired) military officer though I was an Army Foreign Area Officer who lived most of my career overseas in West Europe and the Balkans. I also married a foreign wife (Irish) who helped me develop appreciation for culture and living well. I started my pursuit of FIRE before I even knew there was a term for it and before I knew that others shared my passion for a life of freedom and liberation. I view it as a personal quest to spread the philosophy to as many people as possible – society would be far more healthy and anti-fragile if we achieve a critical mass of FIRE adherents. All the best in your journey. I’m so happy to find your website. Great blog name! I’ll look around. I didn’t know there were so many like-minded people out there. This is so exciting! I haven’t heard the term FIRE yet, but that’s what I’m doing! Look forward to seeing where things go with you as well! Wow, thanks so much for leaving a comment on my site! The complement means a lot coming from you!!! I’ll keep posting! Yep, she’s still doing it! I’d be in trouble without her! Awesome journey you’re having here…can’t wait to read more of your progress! Thanks for stopping by. It’s looks like you are getting off to a good start with your blog. I’ve got a lot to learn! Good luck. I’m not in the same boat as you, yet. But I am hustling to knock out this enormous debt I earned myself. I’m definitely at the bottom of J-Money’s bloggers’ net worth chart. If you are out reading blogs like this, you are on the right track! Just knock it all out. I just put a section on my website called “Cool Stuff”. It’s got a link to my book review for The Simple Path to Wealth, by Jim Collins. The book just came out today. Do what’s in that book, then worry about real estate. My two cents! Great job Rich!! I married well myself and with the help of my wife we paid my 207K school loans off in 4 years and 8 months but who’s counting. We rent our residence as well and have one paid off rental and a newly purchased rental that we will be diligently paying off. I grew up and still live in GA and have traveled to over 10 countries but GA will remain home. I’ve read all of your posts and got here from JLCollins. I have always been interested in money and investing since I can remember and being 32yo now, my wife and I will be FIRE within several years (my goal is 40). Congratulations on your blog….ill stay tuned. Thanks! Holy crap, $207k in student loans is an amazing number. It gave me a toothache! Sounds like you are well on your way to FIRE. Dentistry is a great way to go, but of course, you have to pay off those student loans, manage your lifestyle, and invest well, which it appears you have done. I love that are using paid off real estate for passive income. I’m about to start blogging about that part of my portfolio. 4) Didn’t feel fulled, so attempted semi-early retirement at age 25. It’s been a year so far. Personally, I wouldn’t use anything except Vanguard funds that I manage myself. Jim Collins philosophy on this is good enough for me. No “professional” or fancy software is going to bring you increased returns over his simple advice. I showed my husband this blog and he just wanted to know, how much was your monthly housing expense when you paid off your student loan in 1 year? Did you have a military stipend at the time? Sorry for the nosey-ness. I’m going to community college right now while he is working a 50+ hour a week job with a good salary. It seems like we’ll be drowning in our student loans for a while because we haven’t made a plan to eliminate it yet. $43,000 combined! But I feel motivated to do something about it now that I have read your blog. We were students in college. Our monthly rent was $520 a month. I was a student, no military income yet. I worked at fidelity investments full-time and at a hospital part time while a full-time student to help pay it back. My wife worked two jobs as well. Good luck. I’ve written a lot about living frugally and paying off debt quick, so have many others. You can do it. It take sacrifice and re-organizing priorities. Very cool story, Rich. You’re right, we do have similar experiences! I can’t wait to buy our second rental for cash (we’re nearly half way there), and then everyone after that will be easier and easier to afford with all of the new cash flow. I’ll be sure to follow your story in the future. Stay in touch! That’s so cool Derek! Thanks for commenting. I’m subscribed to you. Cash flow increases like a snowball with each additional property MORTGAGE FREE!! It’s amazing peace of mind!!! That’s being said, everyone is trying to convince me to use my debt and get rich fast!! I’ll consider all options, but it still doesn’t make sense to me!! I like paying off mortgages. My recommendation is to do that. You can’t go wrong. I’m excited to read a blog from someone who did what we are trying to do. People think I’m crazy and don’t really understand the concept of not having a mortgage. We have paid off our primary residence and will be buying an additional home to flip as soon as we are done working on our home. Our goal is to never have more than one mortgage and eventually never have any debt (we have none right now). I look forward to reading more about how you did it, and my husband and I are happy to be in the crazy debt free club! I love meeting people like you! It makes my day! Congratulations on being debt free. Having no mortgage in retirement is the best feeling in the world. It’s true freedom. (I say that, although I stil can’t retire from the military for 2 1/2 years), but it’s coming!